Lawyer, MLA (1933-1936), MP (1936-1940), MP (1940-1945), MP (1945-1949), MP (1949-1953), judge. Born at London, Ontario on 7 August 1890, son of John Maybank and Marion Bates, he attended public school at London before coming to Winnipeg where he completed his education at Alexandra School and the University of Manitoba (BA, LLB). He then practised law for a time. He entered politics as a Winnipeg alderman in 1929 to 1931, serving as chairman of the Unemployment Relief Administration. He ran for a seat in the Manitoba Legislature for Winnipeg in 1927 but was defeated. 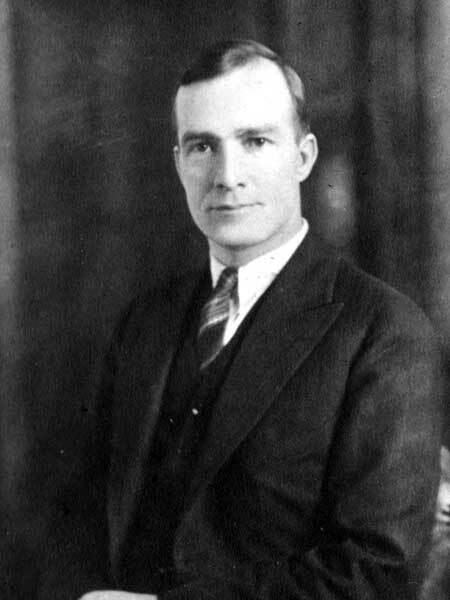 He was elected in 1932 but resigned in 1935 to take a seat in the House of Commons for Winnipeg South Centre, being re-elected in 1940, 1945 and 1949. He held positions of Parliamentary Assistant to the Minister of Health and Welfare (October 1947 to January 1949), and Parliamentary Assistant to the Minister of Mines and Resources (January 1949 to July 1951). He was made a King’s Counsel in January 1938. He was appointed a judge of the Manitoba Court of King’s Bench in July 1951. On 22 October 1927, he married Dora Boys. He died, while still a judge, on 19 March 1965, at Winnipeg. He is commemorated by Ralph Maybank School and Maybank Drive in Winnipeg. His papers are at the Archives of Manitoba. “Six new K.C.’s”, Winnipeg Free Press, 1 January 1938, page 1. “Many active in city’s life today attended Alexandra” by Claire Tisdale, Winnipeg Free Press, 29 January 1949.